Children may feel neglected by a parent who doesn't have custody rights. One example of parents undermining each other is one parent picking a fight with the other in front of their child. Parental alienation syndrome (PAS) is a psychological syndrome which was first described by psychiatrist Richard A. Gardener in 1985. According to Gardener, PAS occurs when parents split up, and one parent uses a steady misinformation campaign to convince the child to hate the other parent. This results in eventual estrangement, with the parent who initiates the campaign winning custody and the love of the child. This theory is highly controversial, with some people arguing that it has a sound basis, while others dismiss it as pseudoscience. In order to qualify as parental alienation syndrome, several characteristics must be satisfied. The first is that the alienation between the child and the “target parent” must be unjustified. In other words, if parents split up and one of the parents has a history of abusing the child, alienation between the abuser and the child is totally justified, and therefore PAS is not present. The second is that the syndrome must be caused by a concentrated effort on the part of one parent. Additionally, a divorce or child custody dispute must be involved. A variety of techniques may be used by parents to undermine each other. For example, a parent might pick fights with the target parent in front of the child, or make repeated comments about the target parent to the child. According to the PAS theory, eventually the child internalizes this, and grows to dislike the target parent. Divorce and child custody can be very contentious issues. Children are often not given very much choice about which parent they want to live with in the event of a dispute, with the courts awarding custody to the parent who seems most fit to take care of the child. 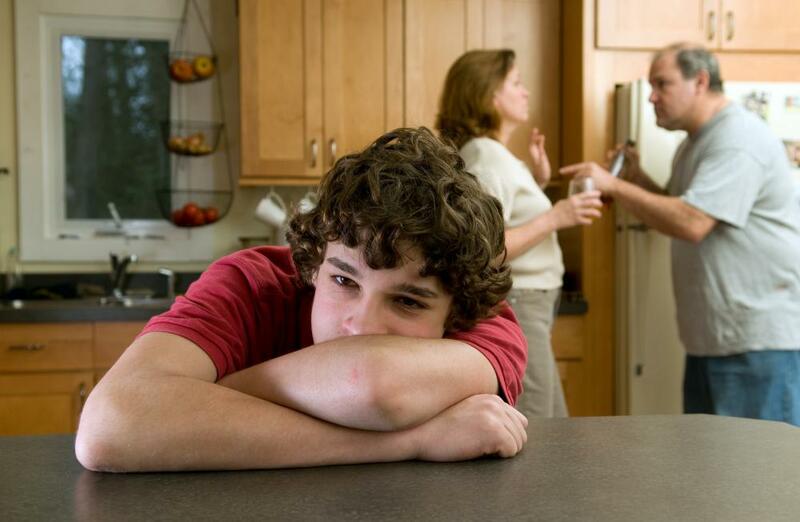 Gardner based his theory in experiences working with divorced individuals and their children, arguing that parental alienation syndrome arose in situations where parents used underhanded methods to try and gain custody of their children. Critics of parental alienation syndrome have argued that the syndrome is difficult to identify and define. Furthermore, given that animosity between divorcing parties is extremely common, it would be dangerous to classify a divorce which is characterized by a denigration campaign as parents war for the affections of the child as a problem. It can also be difficult to determine whether or not alienation is unjustified, since children perceive many activities and events differently than adults do, and it is often challenging to get children to open up about cases of actual abuse. Some critics have suggested that the solution to parental alienation syndrome, whether or not it exists, is to place the child with the parent he or she does not prefer. Supporters of PAS vigorously oppose this, under the argument that it could result in psychological damage to the child, or that it could set up a situation in which a child is remanded to the custody of an abusive parent. How do I Handle an Abusive Parent? How do I Handle Custody Disputes? What Is an absent Parent? I am a child of divorce myself, and I remember both of my parents saying really mean things about the other one while I was at one house or another. My dad wanted me to report on everything my mom did at night and if any men came over to the house. My mom wanted to know if I saw any empty bottles of alcohol at his house. I felt like they were both trying to get me to hate the other one, but it didn't work. I'm equally fed up with both of them now that I'm an adult. very convincing. I knew my dad was mean when he was drinking, and I knew my mom didn't always like being around screaming kids. As a teen, all I wanted was for them to calm down and start living their own lives again. I'm just going to assume we're talking about children who are old enough to form positive or negative opinions about their parents, not babies or toddlers. In that case, I don't see why primary custody should be given to the parent he or she likes the least. The child may have his or her own reasons for feeling the way he or she does, and it may have little to do with the issues the parents have with each other. Eventually those children are going to become legal adults, and clearly free to decide how much of a relationship they want with either parent. All of this parental alienation syndrome discussion sounds more like a head game between adults, and it won't necessarily set up a lifetime of artificial resentment like someone may hope.